Diamonds, Champagne and a brand new Ferrari…sounds like quite the exquisite shopping list, right? Each item on this list can be found at the most posh shopping destination in Atlanta—Phipps Plaza. 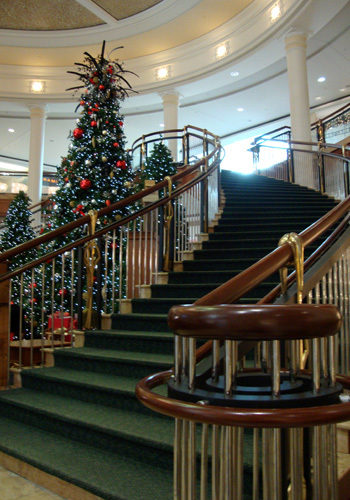 This regal retail experience is, according to local lore, home of the best Santa Claus in town. But if you've not made an appointment to tell the jolly fellow what you’d like for the upcoming holiday, you'll have to wait until next year…he’s totally booked until liftoff on December 24. You, of course, always have the option to drop a hint with that special someone in your life who also thinks you're special. 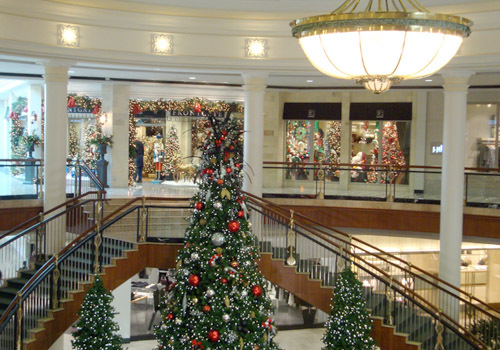 Or even better, treat yourself to some of the bobbles (Tiffany), fashion (Jimmy Choo), or electronics (Bang & Olufsen) that, in Atlanta, you can only find at Phipps Plaza. 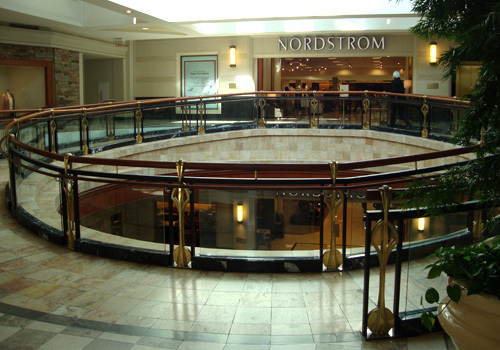 Phipps Plaza is home to more than 100 specialty stores anchored by Saks Fifth Avenue, Belk, and Nordstrom. The anchor stores, while notorious for an exceptional shopping experience, do not outshine the other door-to-door options. Some, such as Tiffany's, although they may offer an online shopping option, provide an in-person shopping experience that an impersonal exchange can't compete with. And participating in your own little fashion show (albeit in a personal fitting room) at Versace, Hugo Boss, or Giorgio Armani, just can’t be beat by other-mall shopping. Shopping at the premier upscale mall in Atlanta is indeed an "experience." You will not find store attendants treating you like Julia Roberts (a Georgia native) on Rodeo Drive in Pretty Woman (at least that hasn't been my experience)…but they will absolutely ensure a positive experience, or your money back. Just kidding…I personally do not know all the stores' service policies, but I've been pleased throughout the years as a Phipps shopper. Ferrari, Maserati, Bentley, Jaguar, and Lotus are among the seemingly countless luxury cars currently on display in the mall. With the enthusiasm of a kid wanting to dive into FAO Schwartz, my face was plastered to the driver side window of the Ferrari sitting outside Saks Fifth Avenue. It was daydreaming at its finest! Cars at Phipps are typically displayed in sitting areas, where, not surprisingly, humans of the male gender just happen to be relaxing (or waiting). The ones who were not relaxing, and were not so concerned with being obvious enthusiasts, were very much engaged, as I was, in luxury automobile worship, via not-so-obvious adoration. 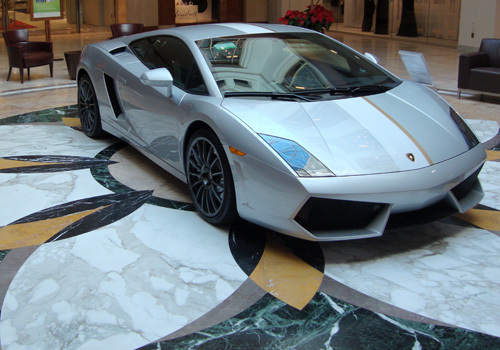 Whether you arrive in your own brand new Ferrari or other horseless carriage, Phipps Plaza offers valet parking at its Peachtree Road entrance (for a nominal fee) or you can self-park in its ample free onsite parking. If you're looking for a not-so-retail experience, stop by the AMC Phipps Plaza 14 for tickets to an high-speed, alternate universe, or other-Century two-hour diversion. Just in case you miss the signage, you buy tickets on the second floor and then venture to the third floor for your big screen viewing experience. Before or after one's cinematic or shopping adventure, or even just because, there are several dining options at Phipps in which to indulge. For something quick, take a jaunt to the upper level food court. For a more happening scene, pop into the Peachtree Road level The Tavern at Phipps for a glass of champagne or a cocktail or dine at one of the several other table service restaurants. Phipps Plaza has long held the reputation of having the best Santa Claus in town. Based on the fact that all available reservations for photos with Santa at Phipps have been booked since October tells me that their reputation is intact. 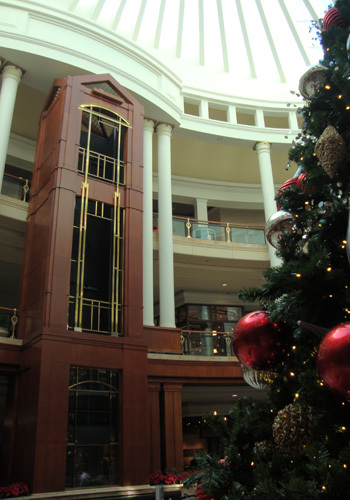 For more than three decades Santa has helped Phipps Plaza celebrate the holiday season. The festive holiday setting, whether or not you can arrange a personal audience with Old Saint Nick, is worth a visit. One reason to frequent Phipps Plaza is its superb guest services desk, located on the second level at the Peachtree Road entrance. Anything from copies or faxes to special offerings, they can assist. Is shopping at Phipps Plaza in my (time) budget? Whether drooling over a Ferrari, window shopping at Tiffany's, or catching the latest blockbuster at the AMC Phipps, I'll definitely be back. Parking: Free. Valet parking available ($7) at Peachtree Street entrance. Cost: Free to visit, but you'll have to negotiate for the Ferrari. Hours: Monday-Saturday 10 a.m. – 9 p.m., Sunday 12 p.m. – 5:30 p.m.